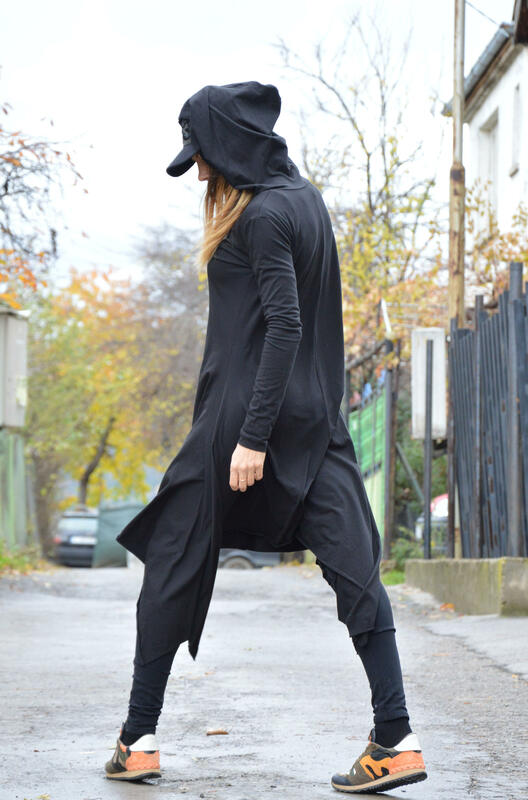 Black Extravagant Maxi,Quilted Cotton Asymmetric Hoodie. Love my dress! Thank you! The fabric is lovely and hangs beautifully! I got may compliments and inquiries about where I got it. Thank you! I will be ordering more soon!